Simple baby clothes ideas are often the best. Gift giving is also the best because it builds relationships and brings family and friends together on so many levels. This footie is amazing because it is appropriate for the party after a Christening ceremony but also can be worn as a really comfortable Christening outfit. A baby will get a lot of wear out of this footie after both events have passed. What makes it so adored? This embroidered Celtic cross footie is made in 100% cotton, diamond pointelle knit, trimmed with a cute braid. 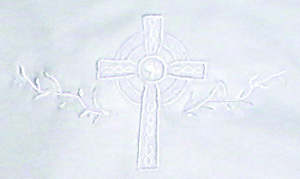 The embroidered Celtic cross is flanked by a vine motif. This footie can be delivered to Mom's door or sent to your location for you to bring to that special Christening Party. What makes it so wonderful? 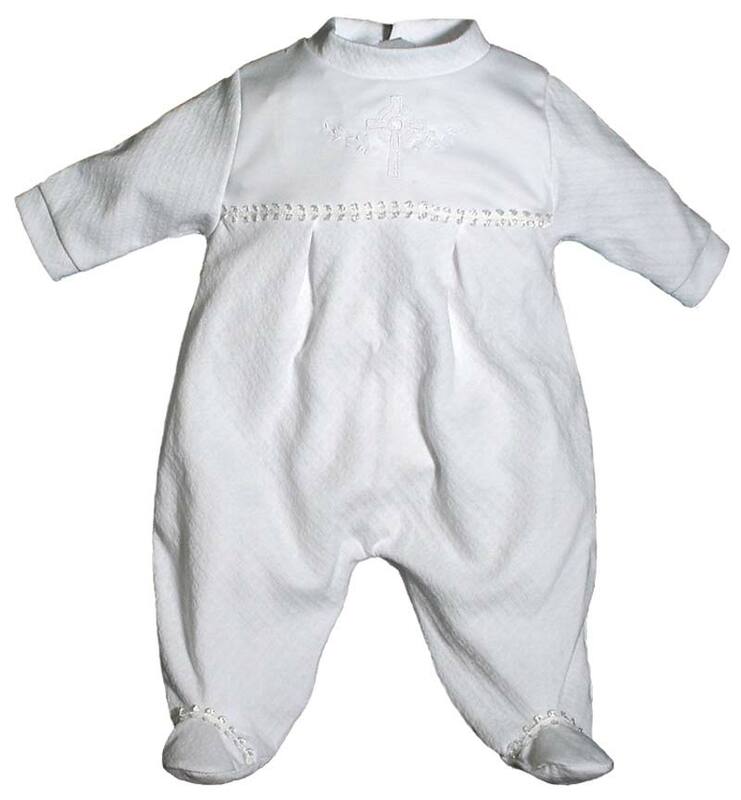 The footie is done in 100% cotton, diamond pointelle interlock, not jersey, which means it will be softer on baby's delicate skin and it will wash and wear longer. It is part of a larger Christening Party group that includes a receiving blanket, a cap and booties. This footie style is unisex, which is for a boy or a girl, as are all of the other items in this Celtic Christening Party group.